THE TOWNSHIP OF MONTGOMERY PUBLISHES ITS OFFICIAL PUBLIC NOTICES IN THE COURIER NEWS, BRIDGEWATER, SOMERSET COUNTY, NJ. TO SEARCH ON-LINE FOR PUBLIC NOTICES PUBLISHED BY THE TOWNSHIP, go to http://www.njpublicnotices.com/ and SEARCH “TOWNSHIP OF MONTGOMERY”. THE BELOW LIST MAY CONTAIN NOTICES FROM OTHER ENTITIES IN ADDITION TO MONTGOMERY TWP. WHICH MAY BE OF GENERAL INTEREST TO MONTGOMERY RESIDENTS. Please be advised, the mailing of the 2018 Sewer Tax bills has been delayed. The first half year billing due on 3/1/18 will be moved to a future date. Ample notice will be given to all residents regarding a new due date for the first half billing. Please contact my office if you have any concerns or questions. Thank you for your patience. BE IT RESOLVED That the following is established as a schedule of meetings of the Township Committee to be held during the year 2018 said meetings to be open to the public and publicized in accordance with the Open Public Meetings Act. All meetings will begin at approximately 7:00 p.m., unless otherwise noted. Except as otherwise noted the location shall be the Township Municipal Building, 2261 Van Horne Road, Belle Mead, NJ. (b) Sent to the officially designated newspapers. (c) Filed in the Office of the Township Clerk. of the schedule and revisions thereto and shall be promptly sent to those persons who hereinafter make such request and prepay such charges. BE IT RESOLVED that the following is established as a schedule of regular meetings of the Board of Health to be held during the year 2018; said meetings to be open to the public and publicized in accordance with the “Open Public Meetings Act”. Regular meetings will begin at approximately 7:30 p.m., and the location shall be the Township Municipal Building, 2261 Van Horne Road, Belle Mead, New Jersey. June 13, 2018 December 12, 2018- 7:00 pm Joint Mtg. Posted on the Municipal Building bulletin board, and shall remain so posted for the year 2018. Transmitted to the officially designated newspapers. Filed in the office of the Township Clerk. Mailed to those persons who have requested and paid the charges for copies of the schedule and revisions thereto and shall be promptly mailed to those persons who hereinafter make such a request and prepay such a charge. Posted on Montgomery Township Website. Act (Sunshine Act). This notice does not have to be printed. It is for information only. PLEASE TAKE NOTICE that by Resolution #17-8-187 adopted on August 3, 2017, the Township Committee of the Township of Montgomery (“Township”) in the County of Somerset, State of New Jersey, authorized the sale by public bid of a PLENARY RETAIL DISTRIBUTION LICENSE pursuant to the New Jersey Alcoholic Beverage Control Act, N.J.S.A. 33:1-1.1 et seq. Conditions shall apply to the award and issuance of the license. The premises on which the licensee operates may be (1) an existing building in which such use is a permitted use, or (2) a site which has or may receive preliminary and final site plan approval (within the time period required for license issuance set forth below) from the Township Planning Board. The premises on which the licensee operates must comply with all Township zoning regulations and New Jersey Municipal Land Use Law, N.J.S.A. 40:55D-1 et seq. Prospective bidders must be pre-qualified. Only the bids of qualified bidders will be opened. Applications and sealed bids for the sale of the Plenary Retail Distribution License will be accepted by the Township Clerk at the Township Municipal Building, 2261 Van Horne Road, Belle Mead, New Jersey 08502. Bid documents are available from the Township Clerk’s Office during regular business hours. All prospective bidders must complete the bid documents in their entirety and attach all required documentation associated therewith, and submit it to the Township Clerk at the Township Municipal Building at 2261 Van Horne Road, Belle Mead, New Jersey 08502 on or before 10:00 a.m. on September 26, 2017. Completed applications must include: a fully completed twelve page Application for Retail Alcoholic Beverage License; a certified check in the amount of $35,000.00 as the bid deposit; proposed building plans for sites that have received or may receive site plan approval but are not yet constructed; an Affidavit of Proof of Compliance with bid conditions; any other documents required by the bid documents and a separately sealed opaque envelope with the Bid Proposal Form. Bids shall be submitted on the form(s) provided and shall be in accordance with the specifications contained in the bid documents. Bidders shall not alter the Bid Proposal Form and shall not submit bids with qualifying conditions or provisions. All prospective bidders shall be qualified to hold an Alcoholic Beverage Control license under New Jersey Law as of September 26, 2017. No license will be issued to any person under the age of 21 years or to any person who has been convicted of a crime involving moral turpitude. No bids or bid documents will be accepted after 10:00 a.m. on September 26, 2017. The minimum acceptable bid shall be $350,000.00. At 10:00 a.m. on October 10, 2017, the Township Clerk shall publicly announce those prospective bidders who have pre-qualified for bidding in compliance with the Alcoholic Beverage Control Act, and the rules and regulations promulgated thereunder, Township ordinances, the conditions set forth in the published notices and bid documents and other applicable law. A list of such pre-qualified bidders shall be posted on the public announcement bulletin board in the Township Municipal Building, 2261 Van Horne Road, Belle Mead, New Jersey 08502. At 10:00 a.m. on October 17, 2017, at the Township Municipal Building, 2261 Van Horne Road, Belle Mead, New Jersey 08502, the Township Clerk shall open the sealed bids of the pre-qualified bidders. Immediately after opening the sealed bids of the pre-qualified bidders, the Township Clerk shall publicly announce the amount of each bid and the name of each bidder. No bid shall be opened from or submitted on behalf of any prospective bidder who failed to pre-qualify. The Township reserves the right to postpone or cancel the sale at any time prior to the bid opening. The Township reserves the right to reject all bids in the event the highest bid is not accepted. The Township Committee, by written resolution, adopted at the public meeting on October 19, 2017, or shortly thereafter, shall award the license to the highest qualified bidder, if the Township does not reject all bids. If the award is made to the highest bidder the ultimate issuance of the license shall be subject to the following: (1) payment of the balance of the bid amount by certified check for the license made payable to the “Township of Montgomery” within five days of the date of the resolution of the Township Committee awarding the license; (2) payment of the Annual Municipal Retail License Fee for the license; (3) payment of the New Jersey State License Application fee; (4) satisfactory outcome of further municipal background checks to investigate the source of funds used to purchase the license; (5) satisfactory outcome of state and/or federal criminal background checks; and (6) compliance with the publication, hearing and resolution requirements set forth in N.J.A.C. 13:2-2.1 et seq. Failure to make timely payment of the balance of the bid amount within five days of the date of the resolution of the Township Committee awarding the license, shall, at the option of the Township, result in voiding of the license award and forfeiture of the successful bidder’s deposit whereupon the Township may award the license to the next highest qualified bidder or take no further action. The deposit(s) of all unsuccessful bidders shall be returned within ten days of the date of the award of the license. If the new license has not been issued pursuant to the resolution of August 3, 2017 by March 26, 2018, no new license shall thereafter issue without further resolution by the Township Committee determining to issue a new license. Following is a notice, which is being sent to you in accordance with the Open Public Meeting Act (Sunshine Act). This notice does not have to be printed. It is for information only. PLEASE TAKE NOTICE that the Montgomery Township Committee has scheduled a Special meeting on July 5, 2017 at 8:00 a.m. in the Courtroom of the Municipal Building. Resolution authorizing the Montgomery Township Planning Board to undertake a preliminary investigation to make a determination as to whether the real property located at 980, 966 & 958 Van Horne Road (Route 206) (Block 34001, Lots 60, 61 & 62) should be declared an area in need of redevelopment pursuant to N.J.S.A. 40A:12A-1 ET SEQ. Closed Session – Advice of counsel and matters falling within the attorney-client privilege regarding pending affordable housing litigation and Princeton North Realty Associates, LLC litigation. PLEASE TAKE NOTICE that the Montgomery Township Committee meeting scheduled for July 6, 2017 has been cancelled. Please be advised that, on or about April 17, 2017, construction on Princeton Avenue, between Route 206 and Van Horn Brook, is scheduled to begin as part of the above referenced project and is expected to take approximately 4 weeks to complete. The working hours on this road will be from 9:00 AM to 3:00 PM. During these hours, the road will be closed to all thru traffic. However, the road will remain open to emergency vehicles, school buses, postal services, garbage trucks, and residents and businesses within the limits of the project. If you should have any questions or concerns regarding this project, please feel free to contact our office between the hours of 8:30 AM and 5:00 PM. Please be advised, the mailing of the 2017 Sewer Tax bills has been delayed. The first half year billing due on 3/1/17 will be moved to a future date. Ample notice will be given to all residents regarding a new due date for the first half billing. Please contact my office if you have any concerns or questions. BOARD OF FIRE COMMISSIONERS MONTGOMERY TOWNSHIP FIRE DISTRICT NO. 1 NOTICE OF ELECTION The budget adopted for the year 2017 by Resolution of the Board of Fire Commissioners of Fire District No. 1, Montgomery Township, Somerset County, New Jersey, following a public hearing at its meeting held January 10, 2017, is as follows: Anticipated Revenues General Fund Balance Utilized $50,000.00 SFS Basic Entitlement Grant 1,780.00 Amount to be Raised by Taxation 820,050.00 TOTAL REVENUES $ 871,830.00 ============= Operating Appropriations Administration: Election $ 750.00 Office Expense 15,500.00 Professional Service 24,500.00 Advertising 1,000.00 Commissioners’ Equipment 300.00 Total Administration 42,050.00 Cost of Operations: Apparatus Housing $138,000.00 Insurance 55,000.00 Supplies/ New Equip. Expense 40,000.00 Training/Education 32,000.00 Maintenance and Repairs 55,000.00 Utilities 35,000.00 General Operating 75,000.00 Montgomery EMS 3,000.00 SFS Grant Equipment 1,780.00 Turn-out Gear 20,000.00 SCBA (Breathing Apparatus) 10,000.00 Contingency 15,000.00 Total Cost of Operations 479,780.00 LOSAP 50,000.00 Capital Appropriations: Reserve for Future Capital Outlay 300,000.00 Total Capital Appropriations 300,000.00 TOTAL APPROPRIATIONS $ 871,830.00 ============= Proposed Tax Rate per $100.00 = $0.044 Based on 2016 assessed valuation of $1,873,197,533.00 A copy of the budget is available for review at the Montgomery Township Municipal Building during normal business hours, or a copy may be obtained by calling (609) 466-3967. The annual election and budget referendum for the Board of Fire Commissioners of Montgomery Township, District No. 1, will be held on Saturday, February 18, 2017, from 2:00 to 9:00 p.m., at the Montgomery Volunteer Fire Company No. 1 Firehouse located at 35 Griggstown Road in Belle Mead, New Jersey. Eve M. Fedun, Secretary. BE IT RESOLVED That the following is established as a schedule of meetings of the Township Committee to be held during the year 2017 said meetings to be open to the public and publicized in accordance with the Open Public Meetings Act. All meetings will begin at approximately 7:00 p.m., unless otherwise noted. Except as otherwise noted the location shall be the Township Municipal Building, 2261 Van Horne Road, Belle Mead, NJ. (a) Posted on the Municipal Bulletin Board and shall remain so posted for the year 2017. PLEASE TAKE NOTICE that the 2017 Montgomery Township Committee Reorganization Meeting will be held on Thursday, January 5, 2017 at 7:00 p.m. The meeting will take place in the court room at the Municipal Building, 2261 Route 206, Belle Mead, NJ 08502. The agenda to the extent known will consist of professional and committee appointments, setting the 2017 meeting schedule, election of Mayor and Deputy Mayor, swearing in of Township Committee members, and adoption of the 2017 temporary budget and various resolutions. The public is, as always, welcome to attend this public meeting. PLEASE TAKE NOTICE that the Montgomery Township Committee meeting scheduled for November 10, 2016 has been cancelled. The next meeting of the Montgomery Township Committee will be Thursday, December 1, 2016. PLEASE TAKE NOTICE that the Montgomery Township Committee meeting scheduled for August 18, 2016 has been cancelled. TAKE NOTICE THAT THE DEPARTMENT OF ENVIRONMENTAL PROTECTION has received applications for the installation of approximately 1,250 linear feet of 42-inch gas pipeline within Montgomery Township, Somerset County. This pipeline installation represents the final construction phase of Transcontinental Gas Pipe Line Company’s (Transco) Skillman Loop. Under previous permits issued by the Department, this length of pipeline was to be installed by horizontal directional drilling (HDD). However, due to local geologic conditions, the HDD installation has been unsuccessful. Therefore, Transco is requesting a new Flood Hazard Area Individual Permit and a Major Modification to their existing Freshwater Wetlands Individual Permit that would allow this length of pipeline to be installed, within regulated areas, by open trenching. The Division of Land Use Regulation invites the public to attend a Public Hearing and present comments on these applications. The U.S. Environmental Protection Agency (EPA) is conducting its 2nd Five-Year Review of the Montgomery Township Housing Development and Rocky Hill Municipal Well Superfund Sites located in Somerset County, New Jersey. This review seeks to confirm that the cleanup conducted at the site, which included: 1. connecting affected residents to the public water supply; 2. sealing of private water supply and monitoring wells within the contaminant plume; and 3. pumping and treating of contaminated groundwater continues to ensure the effectiveness of the remedy continues to be protective of public health and the environment and is functioning as designed. What is an EPA Five Year Review? ▪ Determination if any new regulatory requirements have been established since EPA’s original cleanup decision was finalized. The five-year review is expected to be completed in 2016 and the results will be available at the local site repository listed below. Please be advised, Montgomery Township has received necessary tax figures from Somerset County and had prepared tax bills for the second half of 2016. Property owners should expect an actual (not estimated) property tax bill in the mail by July 21, 2016. Unless otherwise stated on the bill, the 3rd quarter billing will be due August 01, 2016 with a grace period ending August 19, 2016. (The usual 10 day grace period has been extended due to the date of mailing.) The 4th quarter billing will be due November 01, 2016 with a grace period ending November 10, 2016. Alternatively, the Township’s online payment portal is now available for payment of third quarter taxes (2.99% convenience fees for credit card payments, no fee to pay by e-check). Please be advised, the 2016 Sewer Tax bills will be mailed on approximately 5/20/16. The first half year billing will be due on 6/07/16 with a grace period ending on 6/16/16. The second half year billing will be due on 9/01/16 with grace period ending on 9/10/16. This payment link is also readily accessed from the homepage of the Montgomery Twp. website by clicking the “Online Bill Pay” icon in the upper right hand side of page, for future reference. There is also a helpful sewer fee calculator on the Tax Collectors page. Please contact my office if you have any concerns or questions. TAKE NOTICE THAT THE DEPARTMENT OF ENVIRONMENTAL PROTECTION has received an application for the installation of approximately 1,200 feet of 42-inch gas pipeline via open cut construction within Montgomery Township, Somerset County. This pipeline installation represents the final construction phase of Transcontinental Gas Pipe Line Company’s (Transco) Skillman Loop. Under previous permits issued by the Department, this length of pipeline was to be installed by horizontal directional drilling (HDD). However, due to local geologic conditions, the HDD installation has been unsuccessful. Therefore, Transco is requesting a new Flood Hazard Area Individual Permit and a Major Modification to their existing Freshwater Wetlands Individual Permit that would allow this length of pipeline to be installed within regulated areas by open cutting. APPLICANT: Transcontinental Gas Pipe Line Company PROJECT: Leidy Southeast Expansion Project-Skillman Loop LOCATION: Immediately north of Cherry Valley Road (Milepost 1778.2 to 1778.5) Montgomery Township, Somerset County FILE NUMBERS: “Skillman Loop”: 0000-13-0012.3 FHA 150002 Flood Hazard Area Individual Permit 0000-13-0012.3 FWW 150001- Freshwater Wetlands Individual Permit- Major Modification The Division of Land Use Regulation invites the public to attend a Public Hearing and present comments on these applications. HEARING DATE: February 11, 2016 HEARING TIME: 7:00 P.M. HEARING LOCATION: Montgomery Township Upper Middle School 375 Burnt Hill Road, Skillman, New Jersey 08558 All information submitted by Transcontinental Gas Pipeline Company to the Division of Land Use Regulation in support of the above referenced applications is available for public inspection at the office of the Municipal Clerk in Montgomery Township, Somerset County for the Skillman Loop. The Division of Land Use Regulation invites the public to submit written comments on the above referenced applications postmarked within fifteen (15) days of the close of the Public Hearing to: Mark Harris, Division of Land Use Regulation Mail Code 501-02A P.O. Box 420 Trenton, New Jersey 08625-0420. TOWNSHIP OF MONTGOMERY NOTICE OF ELECTION AND BUDGET REFERENDUM BOARD OF FIRE COMMISSIONERS MONTGOMERY TOWNSHIP FIRE DISTRICT NO. 1 The budget adopted for the year 2016 by Resolution of the Board of Fire Commissioners of Fire District No. 1, Montgomery Township, Somerset County, New Jersey, following, a public hearing at its meeting held January 12, 2016, is as follows: Anticipated Revenues General Fund Balance Utilized $ 50,000.00 SFS Basic Entitlement Grant 1,780.00 Amount to be Raised by Taxation 815,550.00 TOTAL REVENUES $ 867,330.00 Operating Appropriations Administration: Election $ 750.00 Office Expense 14,500.00 Professional Service 24,000.00 Advertising 1,000.00 Commissioners’ Equipment 300.00 Total Administration 40,550.00 Cost of Operations: Insurance $ 55,000.00 Rental Charges 138,000.00 Supplies/ New Equip. Expense 47,000.00 Training/Education 29,000.00 Maintenance and Repairs 55,000.00 Utilities 35,000.00 General Operating 68,000.00 Montgomery EMS 3,000.00 SFS Grant Equipment 1,780.00 Turn-out Gear 20,000.00 SCBA (Breathing Apparatus) 10,000.00 Contingency 15,000.00 Total Cost of Operations 476,780.00 LOSAP 50,000.00 Capital Appropriations: Reserve for Future Capital Outlay 300,000.00 Total Capital Appropriations 300,000.00 TOTAL APPROPRIATIONS $ 867,330.00 Proposed Tax Rate per $100.00 = $0.044 Based on 2015 assessed valuation of $1,868,181,802.00 A copy of the budget is available for review at the Montgomery Township Municipal Building during normal business hours, or a copy may be obtained by calling (609) 466-3967. The annual election and budget referendum for the Board of Fire Commissioners of Montgomery Township, District No. 1, will be held on Saturday, February 20, 2016, from 2:00 to 9:00 p.m., at the Montgomery Volunteer Fire Company No. 1 Firehouse located at 35 Griggstown Road in Belle Mead, New Jersey. Due to emergent situations, there will not be a quorum for tonight’s Township Committee meeting and, accordingly, it is canceled. Any pending ordinances may be re-introduced in 2016. We apologize for any inconvenience, and wish you happy holidays. PLEASE TAKE NOTICE that the Montgomery Township Committee Regular Meeting scheduled for November 12, 2015 has been postponed to November 19, 2015. Estimated Third Quarter Property Tax Bills are being mailed out Friday, July 31, 2015. The Grace Period for payment without interest being charged has been extended to August 28th, 2015. Thank you. The Federal Emergency Management Agency (FEMA) Region II office released updates to the flood hazard maps, known as Flood Insurance Rate Maps (FIRMs), for Somerset County. These updates were preliminarily issued to Somerset County and incorporated areas on June 30th 2014. The FIRMs identify areas that have flood risk in Somerset County. Insurance companies use FIRMs to determine flood insurance rates for buildings and their contents, and lenders utilize this information to determine flood insurance requirements. Somerset County residents and property owners are encouraged to learn more about their flood risk and the updates shown on the preliminary flood hazard maps by looking up their property’s address in the “What’s my BFE” tool at www.region2coastal.com. Somerset County will hold a public Flood Risk Open House on the updates at the Somerset County Emergency Services Training Academy located at 402 Roycefield Road, Hillsborough, NJ on March 19, 2015. Attend the Open house any time between the hours of 4PM – 8PM. No appointment is required. Using interactive flood hazard maps at this Open House, representatives from the State, Somerset County, and FEMA and their mapping partners, will be available to answer flood risk and insurance questions, and explain the preliminary flood hazard maps. Residents are encouraged to bring their elevation certificates and/or flood insurance policies to the event in order to get the best information about how their flood insurance may change as a result of the new preliminary flood maps. The following information will not be available at this event: Disaster-related recovery efforts and outstanding insurance claims. Please plan to attend this event if your property is currently mapped within a Special Flood Hazard Area (SFHA), newly mapped into an SFHA, and/or if you currently have flood insurance. If you are unsure of your flood risk, please refer to the Preliminary FIRMs which are available on the FEMA Map Service Center website, https://msc.fema.gov/portal, or call the FEMA Map Information eXchange (FMIX) at 1-877-FEMA MAP (1-877-336-2627) or your local flood plain administrator or building official. If you are in a high-risk flood zone, known as the SFHA, you may be required by your lender to carry flood insurance. FEMA staff will be available at the Open House to talk about these changes. Flooding is the number one natural disaster in the United States. It is vital for property owners to understand their risk and taking advantage of tools and programs available to them. Property owners can take action by purchasing flood insurance and implementing mitigation actions to help reduce future flooding impacts. The preliminary flood hazard maps that will be shared at the Open House are an update of the existing FIRMs. These preliminary FIRMs and the associated Flood Insurance Study (FIS) provide the basis for flood risk education and floodplain management measures. Somerset County is required to adopt updated maps to continue participating in the National Flood Insurance Program (NFIP), which makes flood insurance available to the community. For additional information on flood hazard risk and the mapping process, please visit www.region2coastal.com. Please be advised that due to difficulties obtaining the necessary documentation from New Jersey American Water, the Sewer Utility bills for 2015 are not yet available. We are working diligently to address this issue and will have them distributed as quickly as we are able. The due date for the first half billing will be adjusted to reflect our delay in providing you the billing information. BE IT RESOLVED that the following is established as a schedule of regular meetings of the Board of Health to be held during the year 2015; said meetings to be open to the public and publicized in accordance with the “Open Public Meetings Act”. Regular meetings will begin at approximately 7:30 p.m., and the location shall be the Township Municipal Building, 2261 Van Horne Road, Belle Mead, New Jersey. June 10, 2015 December 09, 2015 7:00 pm Joint Mtg. A. Posted on the Municipal Building bulletin board, and shall remain so posted for the year 2015. B. transmitted to the officially designated newspapers. C. filed in the office of the Township Clerk. D. mailed to those persons who have requested and paid the charges for copies of the schedule and revisions thereto and shall be promptly mailed to those persons who hereinafter make such a request and prepay such a charge. E. Posted on Montgomery Township Website. BE IT RESOLVED That the following is established as a schedule of meetings of the Township Committee to be held during the year 2015, said meetings to be open to the public and publicized in accordance with the Open Public Meetings Act. All meetings will begin at approximately 7:00 p.m., unless otherwise noted. Except as otherwise noted the location shall be the Township Municipal Building, 2261 Van Horne Road, Belle Mead, NJ. (a) posted on the Municipal Bulletin Board and shall remain so posted for the year 2015. PLEASE TAKE NOTICE that the Montgomery Township Committee Reorganization Meeting will be held on Tuesday, January 6, 2015 at 7:00 p.m. The meeting will take place in the court room at the Municipal Building, 2261 Route 206, Belle Mead, NJ 08502. The agenda to the extent know will consist of professional and committee appointments, setting the 2015 meeting schedule, election of Mayor and Deputy Mayor, swearing in of Township Committee members, and adoption of the 2015 temporary budget and various resolutions. PLEASE TAKE NOTICE that the Montgomery Township Committee meeting scheduled for November 13, 2014 has been cancelled. Introduction of Board of Health Ordinance 2014-02, Adopting NJAC 8:57-1 Appendix B by Reference, “Quarantine and Isolation Model Rules for Local Boards of Health”, to prevent the spread of infectious disease. Action may or may not be taken. As to said lands, a permanent right of way and easement (totaling 4.629 acres), temporary workspace (totaling 15.732 acres), and temporary access roads (totaling 0.437 acres) is proposed to be acquired from said landowners by Transcontinental Gas Pipe Line Company, LLC (Transco) for the expansion of Transco’s existing underground natural gas pipeline transmission system and easement. The lands in question are encumbered by State of New Jersey Green Acres restrictions, and a final application for the major diversion of said lands has been submitted to the New Jersey Department of Environmental Protection, Green Acres Program, for approval by the Department’s Commissioner and by the State House Commission. As compensation to the Township for the diversion of lands and for the partial release of the conservation restrictions described above, Transco has proposed to pay the Township $937,200.00. Please take further notice that this hearing will also serve as the public hearing required under N.J.S.A. 13:8B-5 in connection with the partial release of the conservation restrictions across the abovementioned parcels upon which the Township holds a conservation easement. At the public hearing, you may appear in person in order to comment on the proposed diversion or, in the alternative, you may submit written comments by October 27, 2014, to Donna Kukla, Municipal Clerk, Township of Montgomery, 2261 Van Horne Road, Belle Mead, New Jersey 08502. A copy of any written comments must also be provided by you to Kevin Appelget, New Jersey Department of Environmental Protection, Green Acres Program, Bureau of Legal Services and Stewardship, Mail Code 501-01, P.O. Box 420, Trenton, New Jersey 08625-0420. 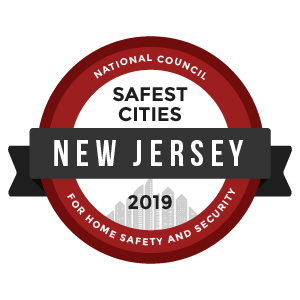 Copies of the final application will be available to the public for inspection at Montgomery Township Municipal Building, located at 2261 Van Horne Road, Belle Mead, New Jersey and at the Mary Jacobs Memorial Library, located at 64 Washington St., Rocky Hill, New Jersey. Therefore, be is resolved that Montgomery Township Police Department declares it’s support for the Drive Sober or Get Pulled Over 2014 Statewide Crackdown from August 15 through September 1, 2014 and pledges to increase awareness of the dangers of drinking and driving. Source: Montgomery Twp. Police Dept. Notice is hereby given that voters in Montgomery Township Districts #1 and #13 will no longer be voting at the Princeton Fraternal Service (Masonic) Lodge on River Road. The new polling location is Trinity Episcopal Church on Crescent and Park Avenues in Rocky Hill. Law enforcement officers from the Montgomery Twp. Police Department will be cracking down on unbuckled motorists and passengers as part of the national “Click it or Ticket” campaign. Montgomery Kid Connection, Montgomery’s premier Preschool, Kindergarten Enrichment program, and Before/After school is now enrolling for the 2014-2015 school year. Please click on the Kid Connection link above or contact the Director, Andrea McKenna at 908-359-2111 for more information and registration options. If you have had any construction permits issued to you within the past 10 years that have not had the final inspection please call the Code Enforcement Office to schedule an inspection so your permit may get closed. These would include additions, basement alterations, generators, water heaters, furnaces, a/c units, etc. Once a final inspection is approved a certificate of approval or occupancy is issued and mailed to the homeowner. If you are not sure you have had your inspections please feel free to call the Code Enforcement Office to check. Please help us avoid having to send letters and/or notices of violations for not requesting a required inspection. If you have any questions call the office at 908 359 8211 ext. 271.